​​Shortlisted and winning entires will also receive a certificate. any other competition at time of submission. · No illustrations to be included. · Entries must be typed, double spaced, 12 point Times New Roman, Courier or Verdana font. · The header should contain the Title, Word Count and Page Number. · Microsoft Word or PDF documents only for email submissions and saved as manuscript title. · The entrant’s name should not appear anywhere on the manuscript, only on the accompanying cover page. · Must consist of 3 separate documents: the manuscript, the cover page and proof of payment.
. Email entries must be paid by direct debit. $12 per entry. · Please put Picture Book Manuscript Competition as the subject of the email. 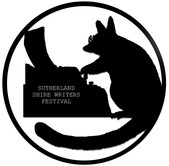 · Email entries are to be sent to shirefestivalcomp@gmail.com. · Must consist of the manuscript, the cover page, payment or proof of payment. · May be paid via direct debit, bank cheque or money order. $14 per entry to cover extra admin costs. · Bank Cheque / Money Order to be made out to Fellowship of Australian Writers. · Shortlisted Entrants will be notified by email on Monday 8th July 2019. · The Shortlist will also be announced in Pass It On and Buzz Words from 15th July 2019. 10th Annual Writers Unleashed Festival on Saturday 17th August 2019. · Any prizewinners who cannot attend the festival will have their prizes forwarded to them in the mail.